She is survived by; seven sons: Marco, Adolfo, Aurelio, Jomiguel, Julio, and Pedro; ten daughters: Luisa, Petronila, Magaly, Dania, Maria, Soila, Altagracia, Andrea, Yulis, and Mirtha; nine brothers and sisters; fifty four grandchildren, and fourteen great grandchildren; she was predeceased by her husband Luis Mercedes. 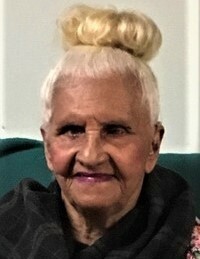 Mercedes was born in Santo Domingo, Dominican Republic on September 24, 1929, daughter of the late Celestino Diaz and Simona Seriano; She moved to Worcester with her family twenty years ago, and has been an active member of the Iglesia Central Adventista Del Septimo Dia for many years. All are welcome to attend Calling Hours on Saturday February 16, 2019 from 4:00 – 6:00 pm at the Iglesia Central Adventista Del Septimo Dia, 886 Main Street Worcester, MA. Funeral and Committal Services will be held in the Dominican Republic.